Growing up and through college, I had long curly Greek blond locks of hair whenever I let my hair grow. Yet as my maternal grandfather had male pattern baldness, I knew I wouldn’t have my hair forever. Indeed, in veterinary school my receding hairline became obvious. Hair loss or alopecia had set in. I had male pattern hair loss. Dogs and cats develop alopecia too. Indeed, alopecia is one of the most common reasons pet parents bring their fur babies to the hospital for evaluation by a veterinarian. 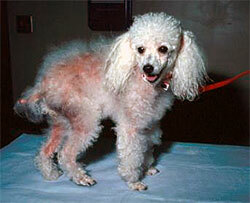 So, this week’s post is dedicated to alopecia in dogs and cats to raise awareness of this medical problem. Happy reading! Alopecia – What is it? Alopecia is simply defined as hair loss. There are myriad causes of hair loss in dogs and cats. Before we delve into them, let’s first explain some basics of hair anatomy growth. 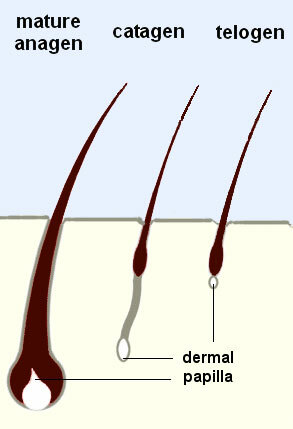 Hair is composed of the follicle and the shaft. The former is the segment found in the skin and has several structures including the papilla (contains small blood vessels called capillaries), the bulb (that divides frequently), and two sheaths that protect the shaft. Follicles are intimately related to different types of glands (i.e. : sebaceous glands, apocrine glands) and muscles (i.e. : erector pili). Hair shafts are made of keratin, a dead protein. Illustration of normal anatomy of skin and hair. Illustration courtesy of the Merck Veterinary Manual. Hair grows in different phases. The phase of active hair growth is called anagen. Hair subsequently enters a transient phase called catagen before entering the resting phase called telogen. Once a hair enters the telogen phase, a new hair enters the anagen phase and the telogen phase is shed. Shedding is called the exogen phase. Hairs of different breeds of dogs spend variable amounts in each phase. Most dogs have a telogen-predominant cycle of hair growth. This means their anagen phase is short (1 month to a year or more) and then hairs enter the telogen phase for a prolonged period of time, potentially years for Nordic breeds. At some point, the telogen hair falls out and is replaced by a newly developing anagen hair. The trigger for a telogen hair to fall out and for a new anagen hair to grow is unknown. Some breeds like poodles have an anagen-predominant cycle (similar to people), necessitating regular haircuts. The different phases of hair growth. Illustration courtesy of the University of Tennessee’s College of Veterinary Medicine. Alopecia – What causes it? 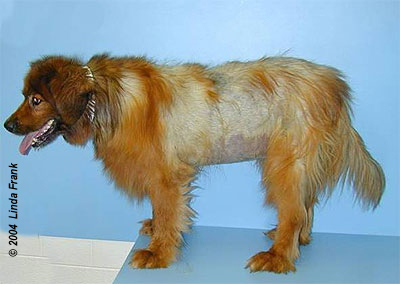 As I mentioned earlier, there are a plethora of causes of alopecia in dogs and cats. Veterinarians initially categorize alopecia based on whether or not the patient has pruritus, otherwise known as itchiness. Major causes of itchy alopecia are allergies, infections (parasites, bacterial yeast), and some cancers. If patients have alopecia without itchiness, then the alopecia is categorized based on whether or not inflammation is present. After consideration of the presence of inflammation, veterinarians will evaluate the pattern of hair loss can since it can provide clues about the underlying cause. Alopecia – How is it diagnosed? Identifying alopecia is straightforward. A pet has an area of hair loss. The challenge is figuring out what caused the alopecia. Veterinarians will ask a lot of questions about a pet’s environment, diet, and previous and current medical problems. The importance of a thorough physical examination can’t be underscored. Important findings – the feel of hair, the pattern of hair loss, the presence of oily secretions or dandruff – can all provide clues about the underlying cause of alopecia. Photo courtesy of Dr. Linda Frank and the University of Tennessee’s College of Veterinary Medicine. Pet parents may find it helpful to partner with board-certified veterinary dermatologist to develop a logical diagnostic plan. Alopecia – How is it treated? The good news is alopecia is rarely a life-threatening problem. But it could be a sign of a significant underlying disease that carries a poor prognosis, especially if not identified and treated appropriately. Definitive treatment for alopecia is based on the underlying cause of it. Bacterial infections are treated with antibiotics. Fungal infections are treated with anti-fungal medications. 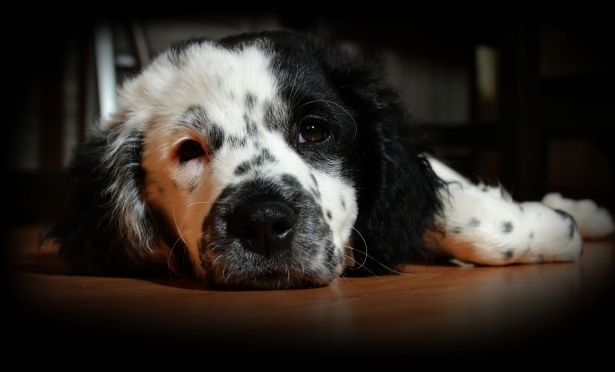 Hormone disorders like Cushing’s disease and hypothyroidism can be managed, but parents often find it beneficial to partner with a board-certified veterinary internal medicine specialist to manage these diseases long-term. Photo courtesy of the University of Tennessee’s College of Veterinary Medicine. Alopecia or hair loss in our pets is a common problem. There are many potential causes, and a thorough diagnostic investigation is essential for making an accurate diagnosis and treating a patient appropriately. To find a board-certified veterinary dermatologist, please visit the American College of Veterinary Dermatology.